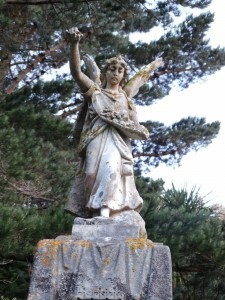 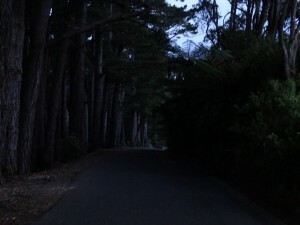 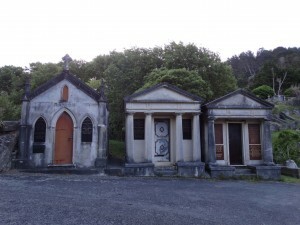 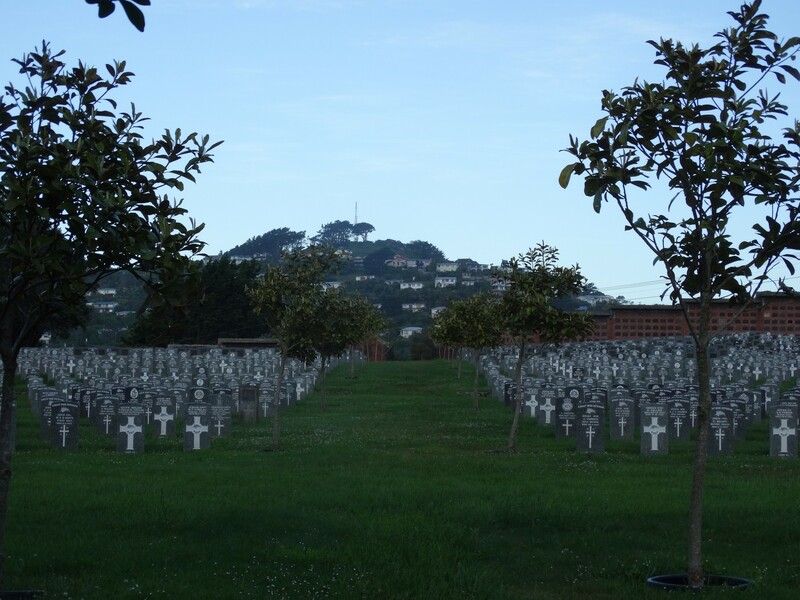 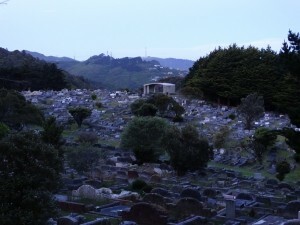 Karori Cemetery is New Zealand’s second largest burial ground, covering nearly 40 hectares. 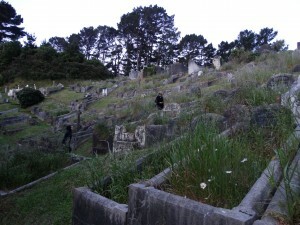 It was the final resting place of about 83,000 people. 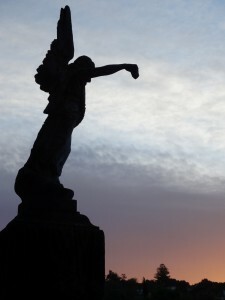 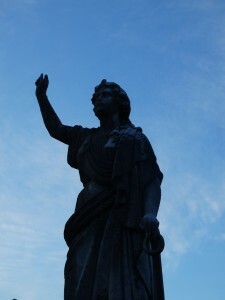 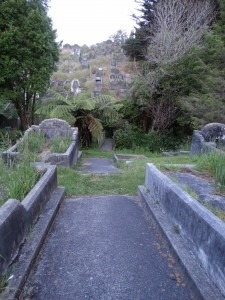 Today, it is a wealth of Wellington history and a peaceful place to visit. 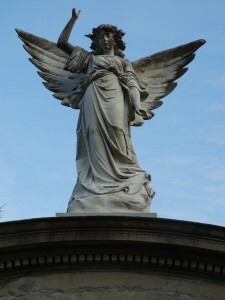 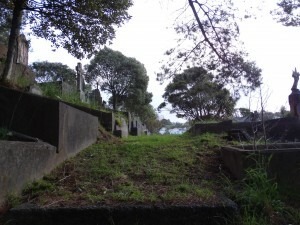 The cemetery was established in 1891 to replace the overcrowded Bolton Street Cemetery. 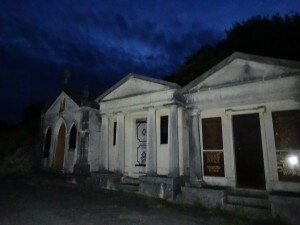 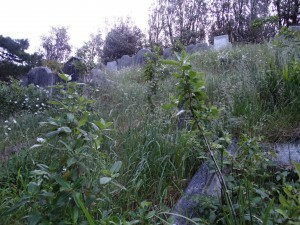 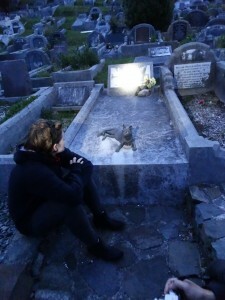 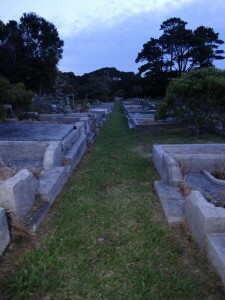 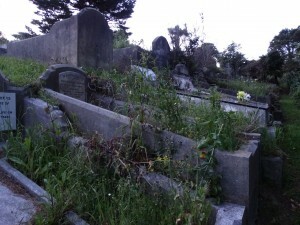 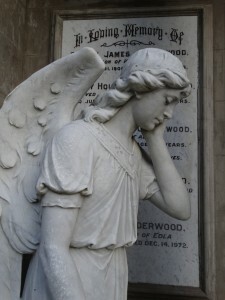 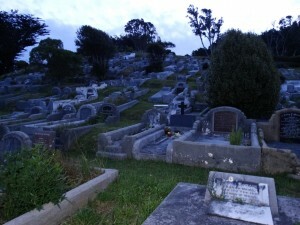 The cemetery filled quickly and by the 1950s had nearly reached maximum capacity. 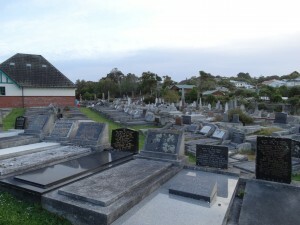 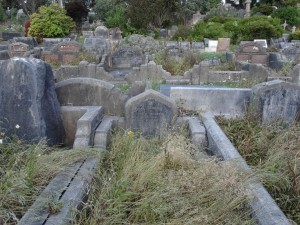 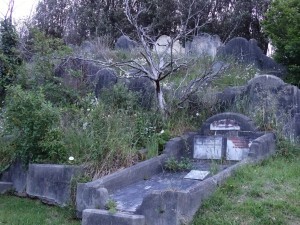 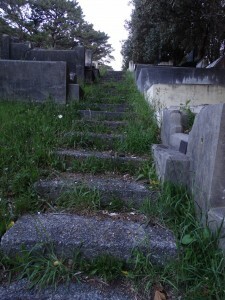 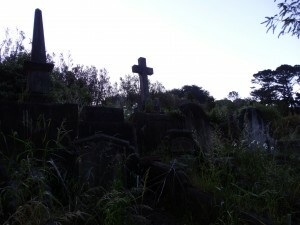 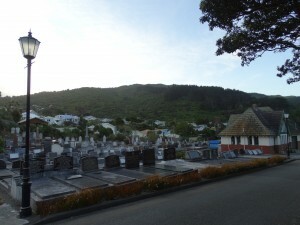 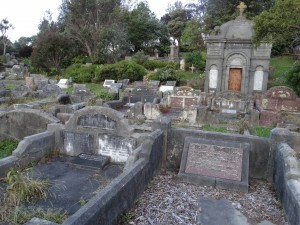 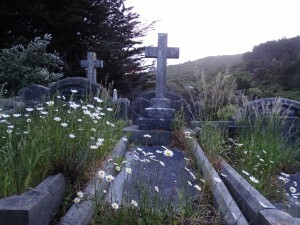 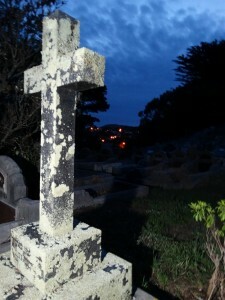 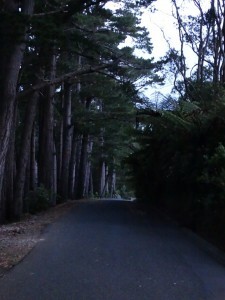 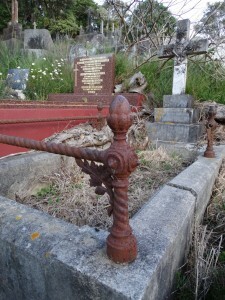 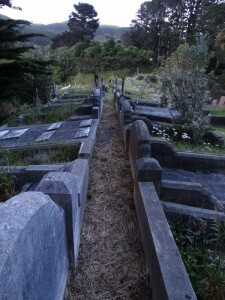 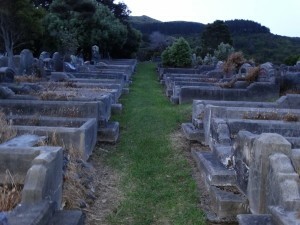 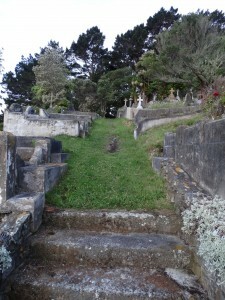 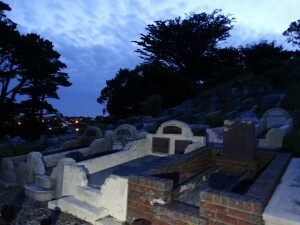 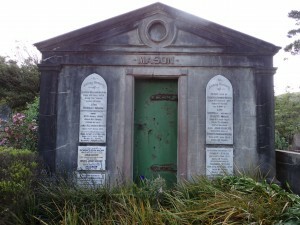 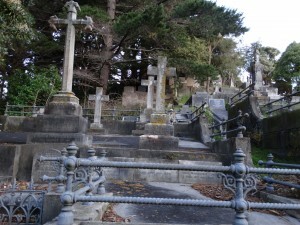 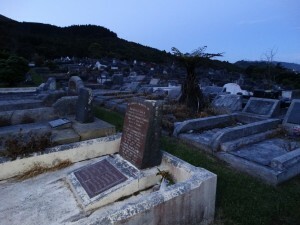 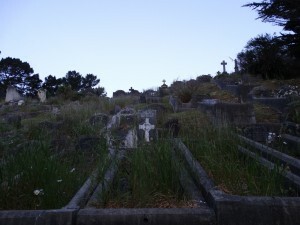 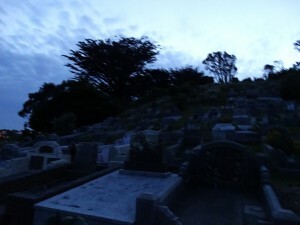 Makara Cemetery became Wellington’s principal cemetery in 1965. 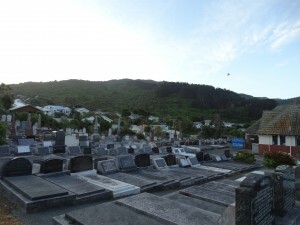 The only plots available now at Karori Cemetery are pre-purchased ash or family plots, and children’s plots. 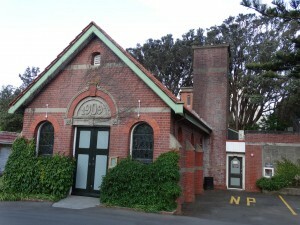 Karori Cemetery’s crematorium was New Zealand’s first crematorium and is the oldest in Australasia, opening in 1909. 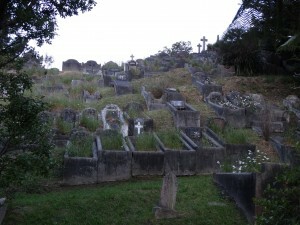 It carries out about 450 cremations a year. 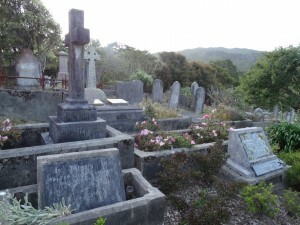 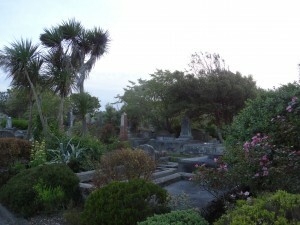 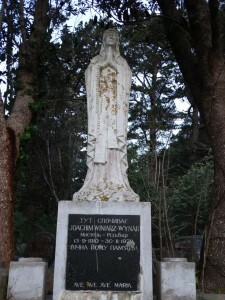 Many eminent New Zealanders are buried at Karori Cemetery, including people involved in the Shackleton expedition and the Tangiwai disaster. 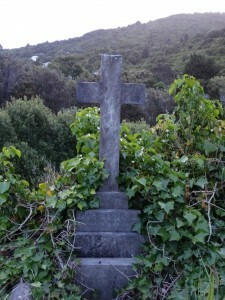 One we found, the resting place of Henry McNish (11 September 1874—24 September 1930), often referred to as Harry McNeish or by the nickname Chippy, was the carpenter on Sir Ernest Shackleton’s Imperial Trans-Antarctic Expedition of 1914–1917. 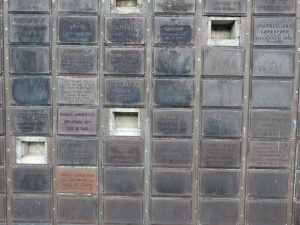 He was responsible for much of the work that ensured the crew’s survival after their ship, the Endurance, was destroyed when it became trapped in pack ice in the Weddell Sea. 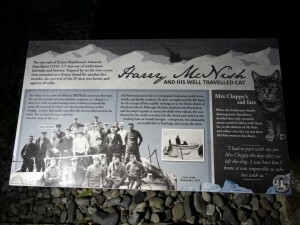 He modified the small boat, James Caird, which allowed Shackleton and five men (including McNish) to make a voyage of hundreds of miles to fetch help for the rest of the crew. 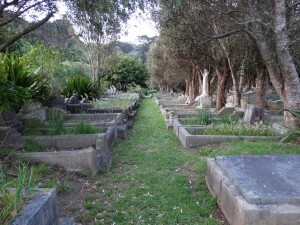 After the expedition he returned to work in the Merchant Navy and eventually emigrated to New Zealand, where he worked on the docks in Wellington until poor health forced his retirement. 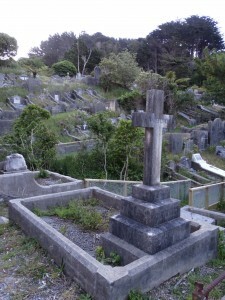 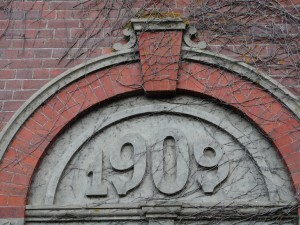 He died destitute in the Ohiro Benevolent Home in Wellington. 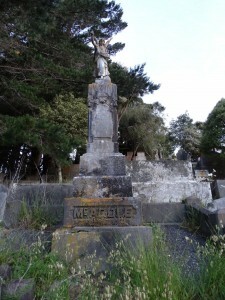 McNish’s grave in Karori Cemetery with the statue of Henry’s beloved cat, Mrs Chippy which was added by the New Zealand Antarctic Society. 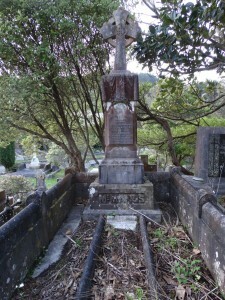 John Guthrie Wood Aitken – Politician, businessman, social activist. 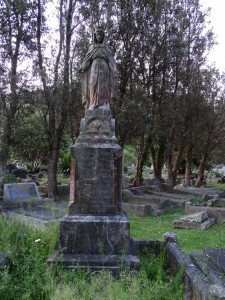 Lily May Atkinson – Suffragist and feminist. 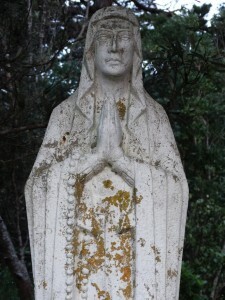 Suzanne Aubert – Founder of the Sisters of Compassion. 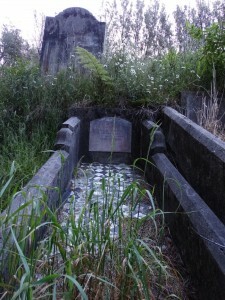 John Blundell – Newspaperman and businessman. 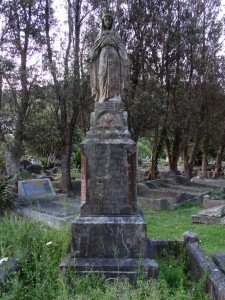 Samuel Forsyth – Sergeant and Victoria Cross recipient. 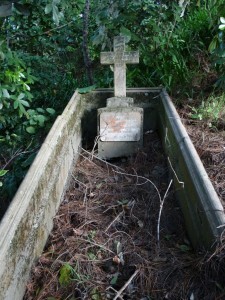 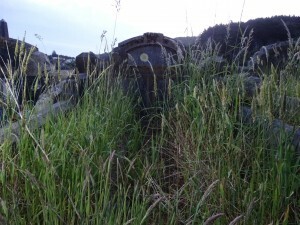 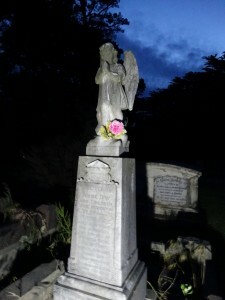 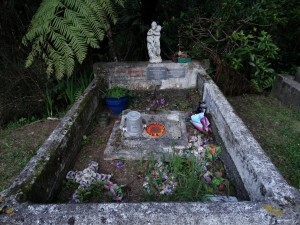 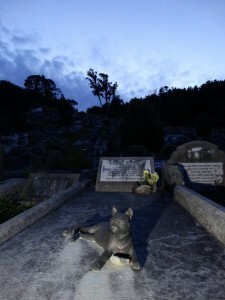 Frederick William Fish – Infant boy and Karori Cemetery’s first burial. 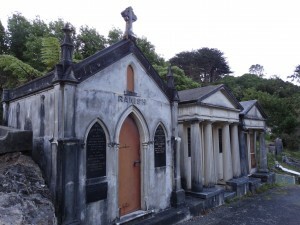 Matthew Holmes – Medical practitioner. 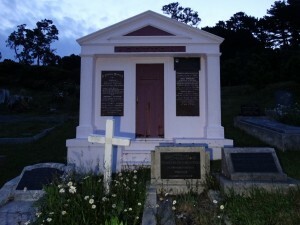 Pehr Ferdinand Holm – Mariner and ship owner. 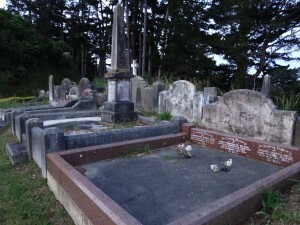 Walter Nash – Prime Minister, 1957 – 1963. 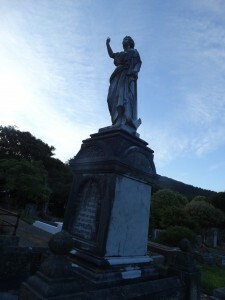 Grace Neill – Public servant and social reformer. 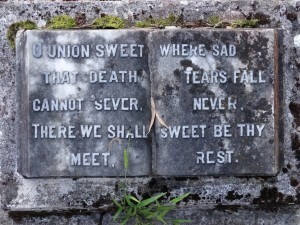 Robert Stout & Anna Paterson Stout – Premier / suffragist and feminist. 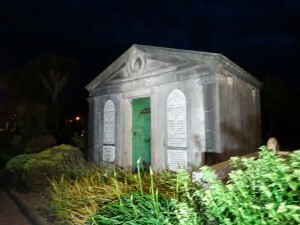 Herman van Staveren – Rabbi, philanthropist. 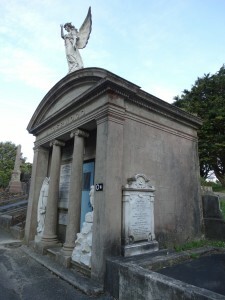 John Sidney Swan – Architect. 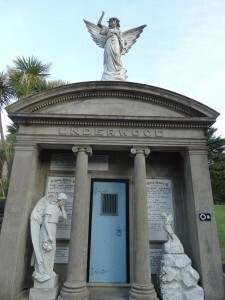 Frederick Turnovsky – Businessman and arts patron. 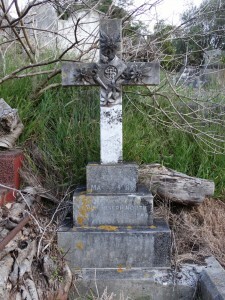 William Joseph Wallace – All Black rugby player and foundryman.